With 11.2 channel pre-outs on both conventional RCA sockets and balanced XLRs, the AV7705 is designed to work alongside high-quality external power amplifiers like the Marantz MM8077, MM7055 and MM7025. Not only is it a superb AV processor, the AV7705 is an extraordinary analogue preamplifier with an HDAM circuit board. 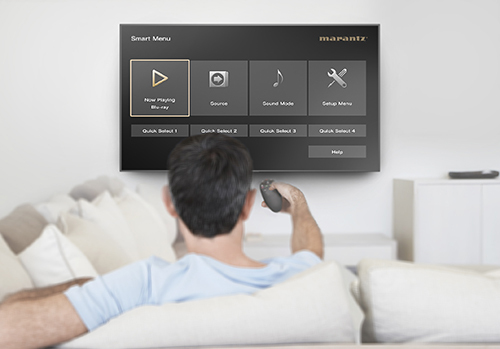 Using Marantz-proprietary HDAMs, the preamp section of the AV7705 provides optimal channel separation, minimum crosstalk and enhanced signal to noise ratio for precise detail resolution and stereo imaging, while the ELNA capacitators of the analogue section ensure exceptional power and dynamic ability. Immerse yourself in multi-dimensional audio with Dolby Atmos, DTS:X, Auro-3D and DTS Virtual:X. Set up a Dolby Atmos surround sound speaker system up to 7.1.4 using Dolby Atmos elevation speakers or dedicated overhead speakers for the ultimate home theatre experience. DTS:X™ immersive audio places sound where it would occur naturally in space, creating a lifelike, multi-dimensional audio experience in the home. The improved immersion and heightened realism draw you into the world of your favourite movies. The included DTS Neural:X™ gives your movies, games and music a realism unmatched by traditional 5.1 surround sound. Auro-3D® elevates the home theatre experience with three-dimensional sound for music, games, broadcast and films with enhancing your existing audio-visual collection, thanks to Auro-matic up-mixing engine. DTS Virtual:X provides immersive audio without height channels, creating virtual height effects in a 5.1, 7.1 or 2.1 speaker arrangement. Feel every dimension in Dolby Atmos. Enjoy a 7.1.4 surround sound speaker system with two or four additional overhead speakers or Dolby Atmos elevation speakers for the ultimate home theatre experience — including Dolby Surround up-mixer for legacy content. Includes eight HDMI inputs — with one HDMI input on the front panel for quick connection — each one supporting HDCP 2.2, 4K Ultra HD 60Hz video, 4:4:4 Pure Colour sub-sampling, Dolby Vision, HLG, High Dynamic Range (HDR), 21:9 video, 3D and BT.2020 pass-through. The video processor is capable of upscaling SD and HD video to 4K Ultra HD. Three HDMI outputs allow you to connect to multiple zones as well as run a TV and projector in parallel. Stream audio from your favourite music services like Apple Music and Spotify or watch videos from services like Youtube and Netflix from any iPhone, iPad, Mac or Apple TV and hear the audio perfectly synced to your speakers Airplay 2 sources. Equipped with the full Audyssey Platinum suite of advanced DSP algorithms, the AV7705 features Audyssey MultEQ XT32 automatic room acoustic correction. With the supplied measurement microphone, MultEQ XT32 analyses each speaker's output (including the subwoofers) at up to 8 measurement locations and generates precision digital filters that optimize each channel for the correct frequency and time domain response. 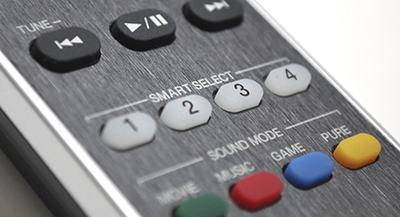 Audyssey Dynamic Volume smooths out disruptive jumps in volume (such as TV commercials), letting you listen at lower levels while still enjoying clear dialogue, music and sound. Audyssey Dynamic EQ provides full-range clarity at any listening level, and Audyssey Low Frequency Containment uses advanced psychoacoustic algorithms to deliver a full-range balance, including deep bass, without disturbing neighbours or people in other rooms of your home. Audyssey Sub EQ HT provides individual DSP tailoring of each subwoofer in a dual subwoofer setup for deeper bass with improved definition. Plus, the Audyssey MultEQ Editor app lets you view and adjust settings for detailed tuning and customize the sound more precisely to your room and tastes. Founded in 1953, Marantz has a long and rich history of designing audio components embraced by music lovers and critical listeners around the world. Because Music Matters in your life, the AV7705 carries on the long tradition of delivering exceptional stereo listening, as well as the ultimate home theatre experience.